Mali is a country in the region of the Sahel in Africa. It is still a developing country, but it remains to this day one of the poorest countries in the world. Nevertheless, it has some amazing landscapes and four UNESCO World Heritage Sites. Plus, let’s not forget that Mali has the historic city of Timbuktu. But then again, the famous shrines of Timbuktu and Mohave have been destroyed by a radical Islamic group in 2012. They were Mali’s most famous attractions. There are some plans for rebuilding them, but it can never be as before. Apart from that, you can visit the Great Mosque, although you cannot enter if you are not Muslim. But there are no rules about admiring it from outside. Before you travel to Mali, you need to check whether or not you need a visa to enter the country. According to Mali’s visa policy, only 25 states and jurisdictions are visa-exempt, and their citizens can stay in Mali for up to 90 days. Visas on arrival are also available, but just for the citizens of Kenya and Rwanda. All the other nationalities that wish to travel to Mali must obtain a visa before departure at the nearest Malian diplomatic mission. If you want to check your status and see what you must do next, you can read Mali’s visa policy, or you can use iVisa’s Visa Checker. We suggest that you take the latter. You can access it by pressing the button in the top right corner to access it. Once you open it, you must select your country of origin in the left drag-down menu, and put Mali in the right drag-down menu. The result will tell you whether or not you need a visa, and if you do, you will be provided with a list of embassies whose services you can use. 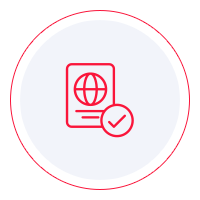 As you can imagine, since electronic visas are not available, iVisa cannot provide assistance in the process of acquiring a visa. However, we would still like to help you in some other way, which is why our support service is available 24/7, and it is free of charge. If you find out that you must apply for a Mali visa at the diplomatic mission, you need to inquire about the requirements. You can read online to learn which they are, but we recommend that you use the information you find on the internet as a reference only. An embassy or a diplomatic mission is a far more reliable source of information than the internet. Nevertheless, what we can tell you is that all applicants are required to have a valid passport that does not expire for another 6 months from the date of arrival in Mali. For the time being, this is what we can help you with. We regret that we cannot assist you any further, but we hope that the information above is somewhat useful. If you have more questions about the visa application process, do not hesitate to contact us or the issuing authority.